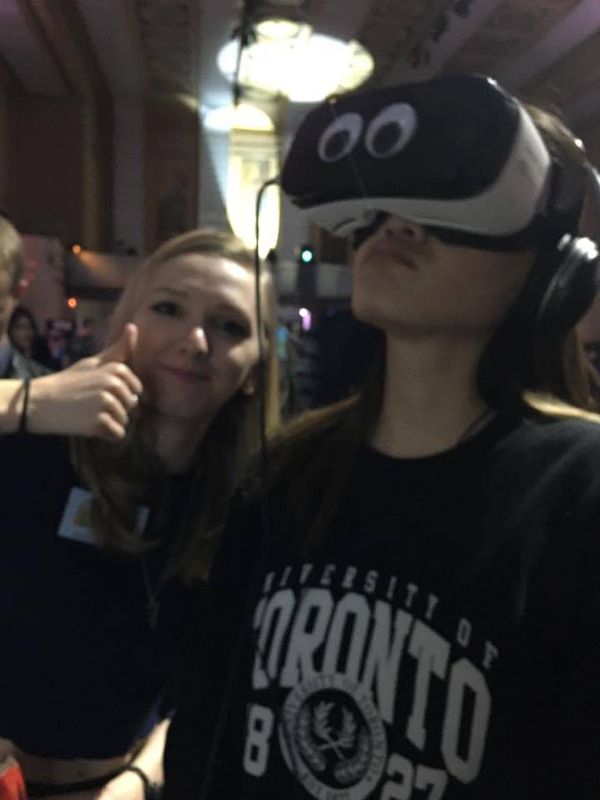 Goal: To create a funny, memorable, multiplayer Gear VR party game intuitive enough so that players could easily pick it up during Toronto’s Level Up Student Showcase. Prototype - testing if our main game mechanic worked. Playtesting. Alpha - core game loop done, most assets in. Playtesting. Beta - polishing, all assets in, audio added. Playtesting. Level Up! Playtesting was crucial for us, since there are many people who haven’t been exposed to VR before. We wanted to make sure the game was intuitive and accessible for everyone. 2. 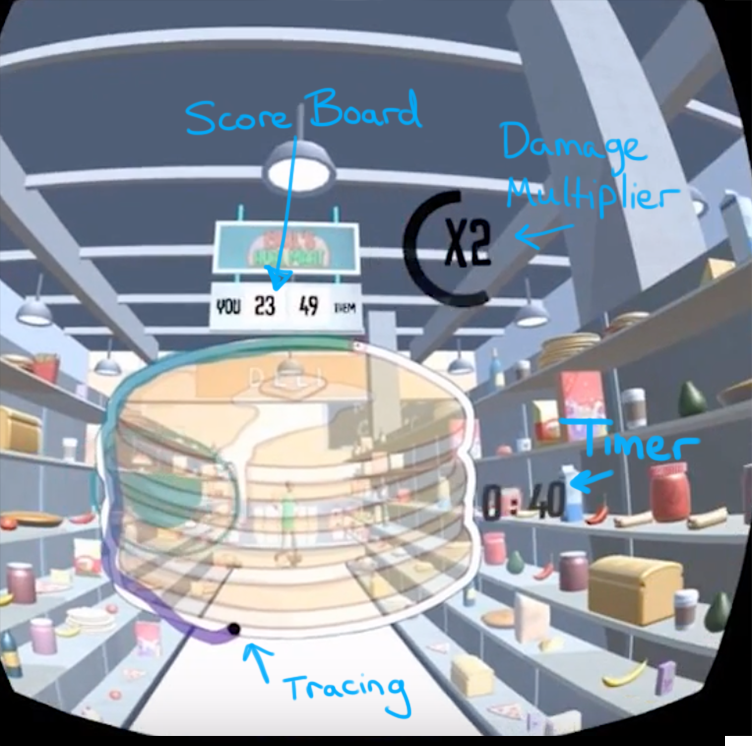 A 2D image of that food appears in front of the player, and they trace around the outline of it as quickly and as accurately as possible with their face, using the Gear VR’s head tracking. 3. 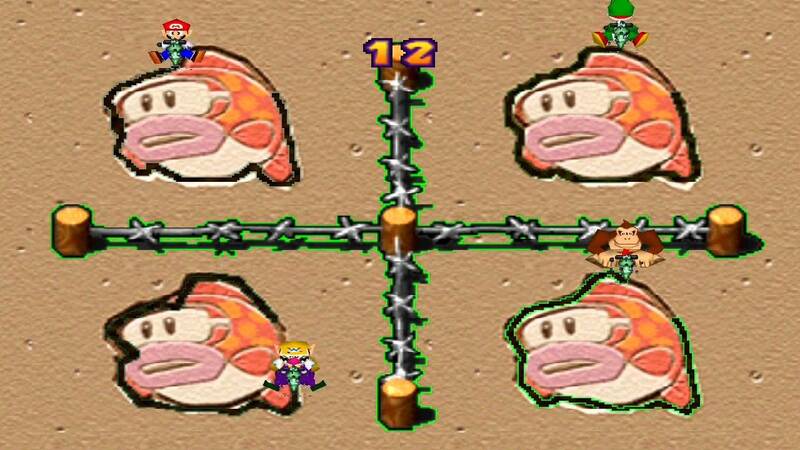 When the outline is complete, the 2D image turns back into the 3D food and automatically gets tossed at the other player, doing x amount of damage depending on the speed and accuracy of the player’s tracing. 4. Tapping the side of the Gear VR brings up a wet-floor sign shield for 2 seconds, which has a brief cooldown. 5. The round is over when the timer is up, and a scoreboard is displayed showing the winner and stats (e.g. # of items thrown, average accuracy). We had to keep in mind that players can get easily nauseated in VR, so we decided the player had to remain stationary in the space. We also wanted to do something innovative with the Gear VR’s head tracking, and created the tracing mechanic as a way to deal with the lack of hand-held controllers. Although we didn’t win any awards at level up, we did receive a ton of positive attention. Many people loved the idea of a multiplayer VR game, because they enjoyed interacting with their friend in a virtual space. 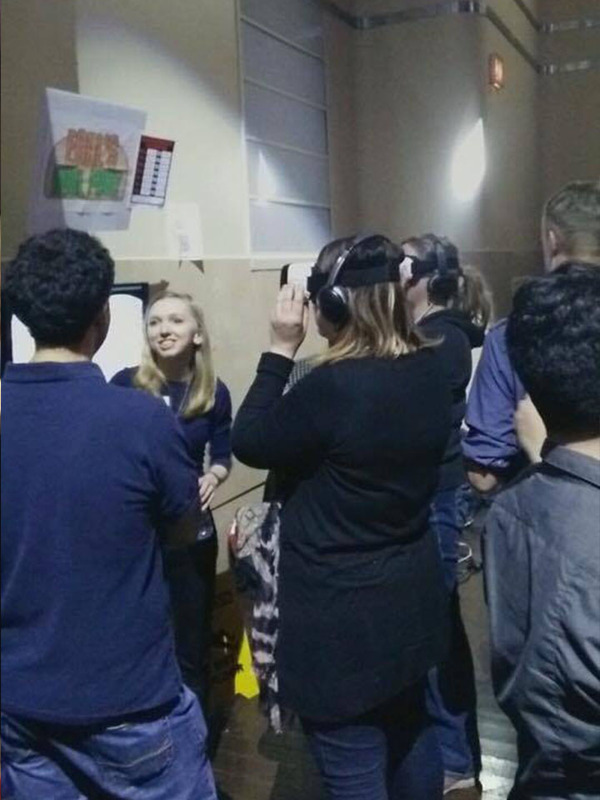 The game was surprisingly popular with the parents who brought their kids to Level Up, who said they had tried VR games before but were often overwhelmed. They liked our intuitive gameplay, and pastel colour-pallet that made it easier on their eyes. Most of all, we received a lot of praise for the humour in the game (e.g. the sarcastic employee narrating the game over the grocery store’s intercom, the ridiculous kinds of food you can throw). I think the game fell short when it came to the execution of the game loop and the lack of physicality. The “tracing with your face” mechanic is unique, but I don’t think it’s necessarily fun for very long. 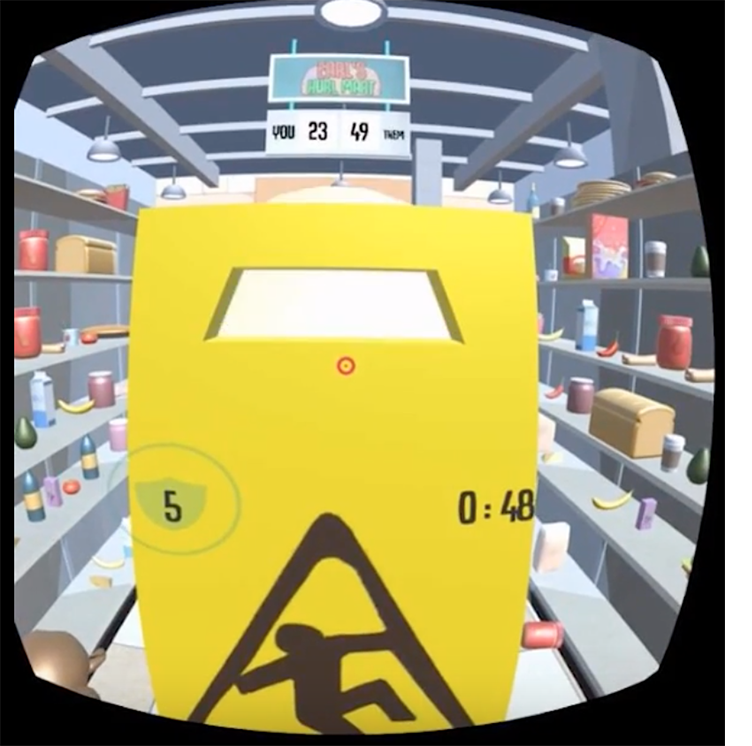 If I were to continue working on the game, I would love to develop it for the Vive, where players are physically able to throw the food, and scrap the tracing mechanic all-together (which actually may be more suitable toward a mobile game). I’d also amp up the messiness factor. Add more food splatter particle-effects and completely trash that grocery store, splatoon style.